Content marketing is the bridge between you and your target audience – it connects you to people you otherwise might never reach. 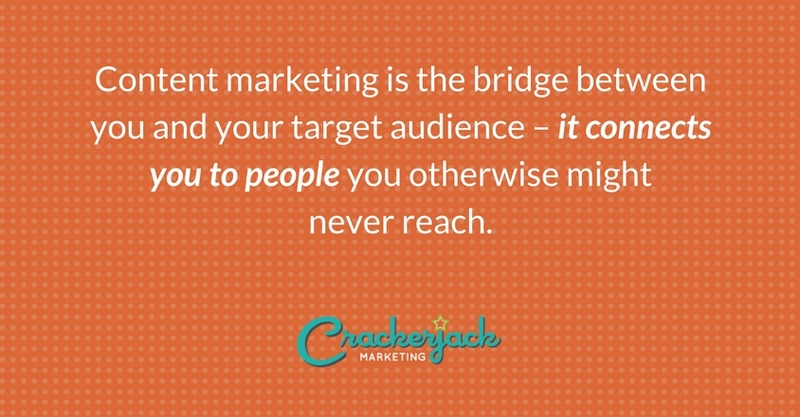 The goal of your content is to get the audience so interested in your content that they can’t help but cross the bridge to your side. However, we all know that sometimes our content misses the mark and our audience isn’t interested for very long, or even at all! What’s keeping readers engaged? Your story is! What makes up your story? Your content! Content marketing is often misunderstood and overlooked. For those of us in content marketing, we might be thinking, “Yes it is, and I don’t understand why!” When you’re a marketer you not only have to think like a marketer, you have to think like a reader. When marketers only think in terms of campaigns and channels, the content only lasts for a short time. If it’s not something you’d like to read, do you think your readers will want to spend time on it? 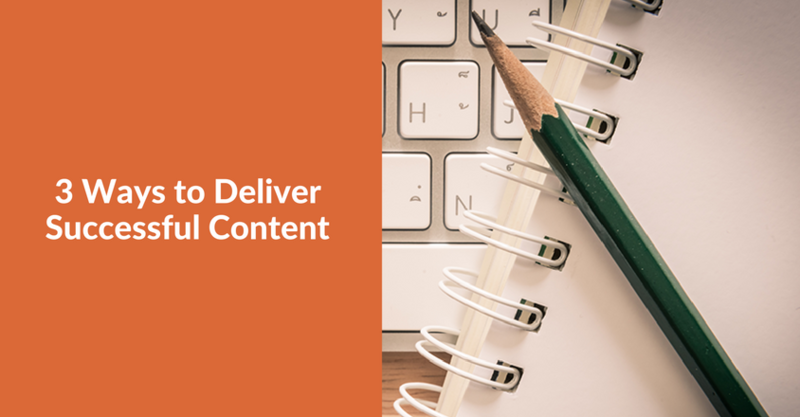 If you find your content struggling to make an impact on your consumers (and maybe your boss, too), we’ve got three (yes, only three, it’s that easy) ways to help you start delivering successful content. What’s the impact this will have? Can you answer those questions about your content marketing? It’s important to know what isn’t getting used in your strategy. What is your audience overlooking? What isn’t being used? Once you know what is and isn’t working, you can focus your efforts (and precious budget) on delivering strong content. Am I talking about myself (my brand, my product, etc.) too much? Am I answering my reader’s questions? Is my content the overlap between what people are looking for and what I’m posting? The goal is to show up first in a Google search, right? You want to be the one-stop shop for your consumers. To fulfill that dream, you have to know what they’re searching for, and what they’re searching for is general information. Although it’s instinct to talk about you, don’t do it! Talk about the bigger picture and not about product-specific topics. Where are my customers spending their time? What social media channel fits my brand? How can I branch out from the main ones? Social media is how you distribute your content. If you have a great blog or newsletter you want more subscribers and readers on, share it! Making content worth the time of your readers is half the battle. Sharing the content in the appropriate channel is the other half of the battle. Successful and deliverable content partly relies on where it’s shared. Do your research and your homework and apply what you know. Content marketers have to prove that their content is making an impact. You get out of content what you put into it – it’s a continual investment that will provide incredible results as long as you’re attentive to it. You truly can do more with less if you’re cleaning up what doesn’t fit, you’re a part of the conversation, and you’re sharing what you have to say. Remember to follow your content from beginning to end and ask yourself clarifying questions along the way. How do you tell a story with your content? 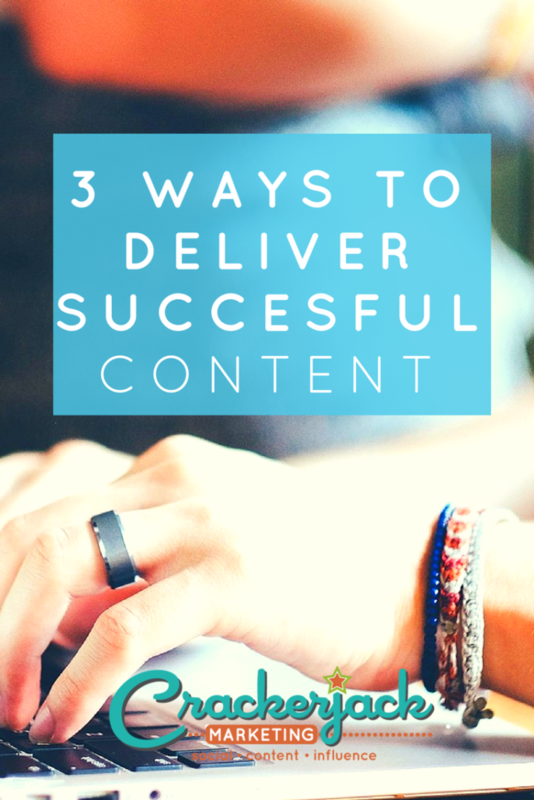 What are some of the ways you make sure you deliver successful content? Share your strategy!